Cottage Nest - Crafting A Handmade Life: Hooray for the Hoo Dat! 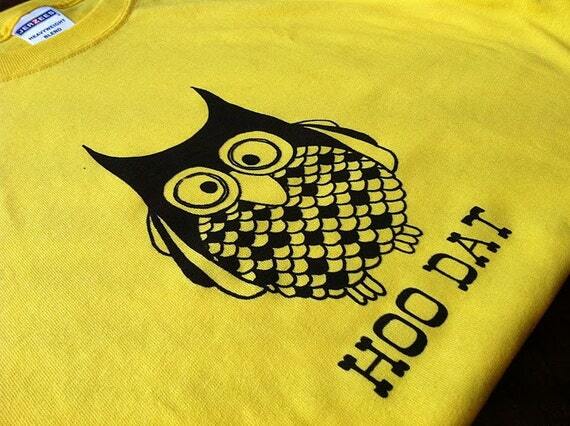 It's been 2 to 3 years since I first released my Hoo Dat owl design; originally inspired from a cute chubby owl pillow a friend made me and further tweaked to be a play on words - "Who Dat" the favored chant of all New Orleans Saints fans. So, I thought I'd refresh you what I've done with the design over the years and show off a new product introduced this summer! 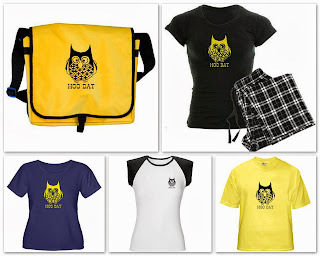 For other colorways and styles of tees, I have made the design available at Cafepress. Also - check out the super cute messenger bag and pajama set! Hootie cutie!! If you know me, you know I had to have Hoo Dat fabric! Exclusively thru Spoonflower, both variations on the black and gold are available - plus some alternate colorways in pink, blue and a fun orange & black combo perfect for Halloween. You might remember the cute tote I made last year with it in this post. 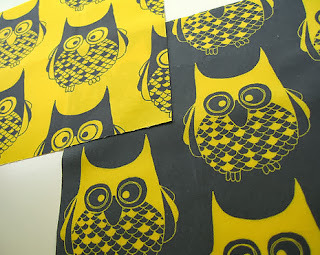 Besides many different fabric options - Spoonflower offers this design on gift wrap and wall decals! 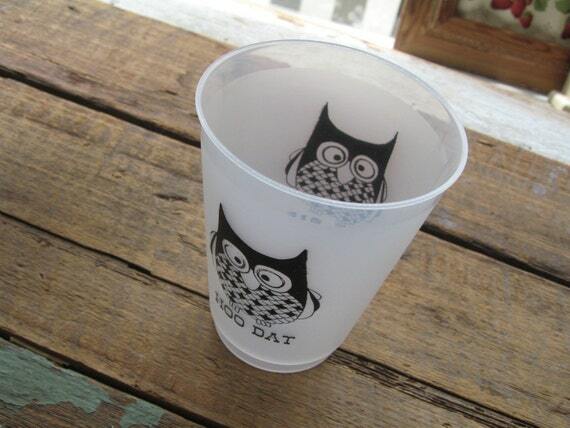 This year I partnered with a local print company to put my Hoo Dat owl on durable frost flex cups. We love them - top shelf dishwasher safe and the design is double sided. It's 12oz and that just perfect for a beer (or whatever!) They are packed 6 to a set and come wrapped in cellophane with a bow - a perfect gift that they'll call you a Saint!